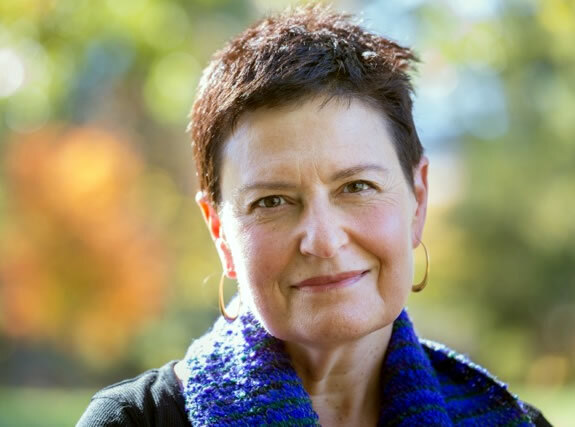 Pyroluria, Mental Health and the Immune System | Judy Tsafrir, M.D. I never heard the term pyroluria mentioned during my residency in psychiatry, which is kind of crazy, given that it is not at all rare and can profoundly effect mental health. It is a condition found in many people who have serious psychiatric disorders, including severe depression, anxiety, mood swings, explosiveness and violent behavior, alcoholism, memory problems, attentional problems, academic underachievement, autism spectrum disorders and psychosis. You would think that given how relatively common it is, how debilitating, and how treatable, that it would have been part of the curriculum. But hey, we were not taught a thing about the effect of diet on mental health either. I first learned about pyroluria from Dr. William Walsh, a biochemist and brilliant pioneer in the field of nutrient therapy for psychiatric conditions. He wrote an excellent book called Nutrient Power: Heal Your Biochemistry and Heal Your Brain. Here is a link to an earlier blog post I wrote in October 2014 inspired by my training with Dr. Walsh. Pyroluria is also present in people with chronic medical illness, including auto-immune conditions, as it is a general sign of oxidative stress in the body. Many of my readers suffer from poor gut health, and in those individuals, urinalysis may reveal elevated levels of pyrroles. I have pyroluria, as do many of the patients in my psychiatric practice, who are of course, a self-selected group. It is diagnosed by a simple inexpensive laboratory test that measures the level of pyrroles in the urine. The lab that I like is Direct Health in Chicago. Results from 10-20 mcg/dL of pyrroles are considered borderline. Above 20 mcg/dL is considered positive for pyroluria. Pyrroles are a normal breakdown product of hemoglobin, the molecule that carries oxygen in your blood. When pyrroles are excreted from the body they bind with two nutrients that are essential to mental health, zinc and B6. Individuals with a genetic abnormality that causes elevated production of pyrroles will become relatively deficient in zinc and B6. The combined effect of B6 and zinc deficiency is a disaster for brain function as well as the immune system. B6 is required for the synthesis of three critically important neurotransmitters; serotonin, dopamine and GABA. Zinc is a component of more than 200 enzymes and other special proteins that play a role in cell division and gene expression, insulin regulation, as well as necessary in the maintenance of the blood brain barrier, which prevents harmful chemicals from entering the brain. Here is Dr. Walsh’s list of some of the symptoms correlated with pyroluria: Poor stress control, sensitivity to bright lights and loud noises, morning nausea, tendency to delay or skip breakfast, very dry skin, pale skin, inability to tan, high irritability and temper, history of underachievement, little or no dream recall, auto immune disorders, white spots on the finger nails, poor growth, coarse eyebrow hair, stretch marks on the skin, severe anxiety and/or depression, fearfulness, obsessions with negative thoughts, delayed puberty, dark or mauve colored urine, affinity for spicy and salty foods, abnormal fat distribution, delicate facial features, extreme mood swings, history of dyslexia, severe inner tension, frequent infections, premature graying of hair, poor muscle development, spleen area pain, joint pain, poor wound healing, psoriasis, tendency to stay up very late, abnormal or absent menstrual periods. Pyroluria is often found in children who have behavioral dysregulation, attentional problems, learning disabilities and tantrums. Symptoms can be exacerbated when a child has a growth spurt, because growing increases the body’s demand for zinc and B6. With appropriate supplementation, symptoms can improve rapidly. Dr. Walsh said that he was always happy when he tested a kid and found elevated pyrroles, because treatment can make such a dramatic difference so quickly. If you suspect that you have pyrrole disorder, if you can afford it, and if there is a practitioner in your area, I recommend that you see someone trained by Dr. Walsh to develop a supplement protocol for you. Here is a list of Walsh trained practitioners. Supplements can cause harm if you take an inappropriate dose, or ones that are simply not beneficial for you or an inappropriate combination. They are not simply harmless, and when treatment is initiated, there can be transient increases in anxiety, fatigue, headaches, muscle tension, itchiness and insomnia, to name a few side effects. If you are determined to do it on your own, Trudy Scott suggests a protocol to treat pyroluria. She recommends starting with zinc (30 mg), vitamin B6 (100mg) or P5P (25mg) and evening primrose oil (1300mg), plus a good multi-vitamin (with manganese and no copper) and a multi-mineral and sometimes additional magnesium. She suggests monitoring your B6 level on the basis of dream recall and your zinc level with a zinc status test that is a taste test with liquid zinc. I’m curious if there is a connection between livedo reticularis and Pyroluria. I cannot give medical advice to you, but the Walsh protocol recommendations are typically for doses that are much higher than conventional RDA recommendations. I cannot give medical advice to you, but the Walsh protocol recommendations are typically for doses that are much higher than conventional RDA recommendations. Its important that you feel trust in your practitioner, or find someone else. Keep in mind the someone with Pyroluria is excreting B6, which P5p is, at a much elevated rate. Hello, I am wondering if it would make sense to have the lab test for pylouria done on my own, before deciding to seek out a Walsh practitioner. Hello. I was told that We should be taking Mitosynergy copper for pyroluria along with zinc, as it is the bioavailable copper your body is lacking. People are having excellent results with it. But you say no copper? Just trying to figure this all out for my son. He’s 22. Also can’t find a practitioner in Central New York. Suggestions? I suggest that you find a practitioner trained by Dr. Walsh in your area. Go to the Walsh Research Institute website and click on clinical resources and the input your zip code. I wish you all the best. We had major copper pipes in our house when we were kids . I remember the white dashes on me and my sisters fingernails. We had explosive parents, my brothers had the worse of psychiatric ailments our mother had chronic depression. All these years I thought it was our ill functioning thyroid. I am beside myself with the information I am learning about pyroluria. I am beside myself and I am overwhelmed knowing why things happened when I was growing up. Thank you for this article as I was looking how to get tested in Massachusetts and yours was first in the search. It does sound reasonable to suspect copper toxicity and/or pyroluria. There are so many possibilities, however, that also should be considered, including mold, chronic Lyme and all manner of auto immune conditions, ancestral trauma, to name a few considerations. I know what it feels like to think that, ah ha! that it what must have been the cause.I have done myself a number of times. But these situations are so complex. I recommend keeping an open mind and exploring many different possibilities. My daughter recorded a startling pyrrole level of 273 on initial testing. She began treatment and 3 months later appeared to be a different person after 15 years. Sadly she announced she was no longer taking it as it “was doing nothing”. 3 weeks later she became vastly worse than she has ever been before – angry, isolated, inwardly focused, insomniac , hysterically intolerant of light, odours, flavours and almost every noise not generated by her. She projects all manner of blame for invisible slights on immediate family and does not leave her room for hours on end. In short she cannot function – and neither can we. Has anyone had any experience of a similar overreaction to cessation of pyrrole treatment? I have had Pylorulia all my life. This behaviour is very normal for a person with high pyroles. Sounds like she needs a more guided dosage next time. 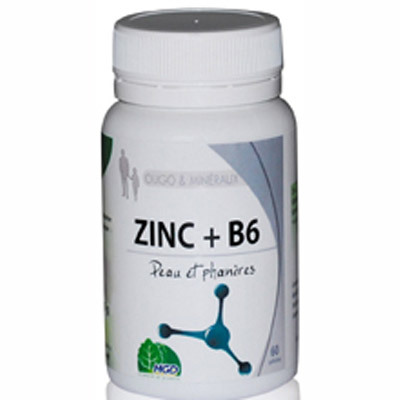 Its important to find a balance between b6, p5p, zinc etc. To me when i felt like her i really just wanted help and somtimes it is hard for someone with pylorulia to ask for help. I’d say she really needs help. When you have so much inner tension it is hard to ask for help. I have just received a 12.46 with my urine test. I am taking 30 mg of Zinc during dinner. I am also, unfortunately, tapering from Xanax to Valium after becoming dependent on the nasty drug. it ruins a portion of my day , so i am skeptical to take it. do you have any suggestions? Hi , Yes, it makes me nauseous even when taken with food. Good idea to take it in the evening, at least i am home then, and not at work feeling lousy because of the zinc. Which form of zinc are you taking? I just took a pill of zinc-gluconate and got terribly nauseous…before I had another supplement with zinc attached to an amino acid and felt awesome! Zinc methionine, orotate and piccolinate seem to be good options. I have been diagnosed with Pyroluria. My Zinc/Copper ratio is now normal. I’m feeling much better. I don’t take B6 in the standard form “pyridoxine” due to CBS ++ issues. So, I take B6 in the active form as P5P. But, if I take 100mg of P5P I notice some mild nerve zaps in my toes and sometimes fingers. I wasn’t sure this was the cause, so I increased my dose of P5P to 150mg. I ended up with very strong nerve zaps/tingling in my hands and feet, etc… It also felt like I was flushing a little. By evening the symptoms mostly went away. I was told I could take up to 200mg of P5P. I’m confused because it would seem that side effects of pyridoxine can be countered by taking P5P. And people who have diabetic neuropathy can take P5P to find relief. So, why in the heck do I get these symptoms from taking P5P? Is there a missing link somewhere, does P5P require some other component to work properly? Is this a sign that something else is going on? So, I’m just researching trying to find answers. I’m concerned since I have Pyroluria I require B6/P5P but…..I don’t want to cause permanent nerve damage. Have you seen Pyrolurics who require more zinc but not as much b6? Those with pyroluria need both B6 and zinc. I recall Dr Walsh saying that some people respond better to B6 and others to P-5-P and thus both are recommended to cover all the bases. I do not know why you are having those symptoms. Is it ok to take a iron supplement? I don’t know if you already found a solution to your problem, but I had the same issues with P5P at 50mg. Some people reported that high doses of B12 and/or Benfotiamine helped them solve that! It is very unnatural for the body to get ONE vitamin or mineral in high dose at a time; all foods contain MULTIPLE nutrients, and our bodies are adapted to receiving nutrients TOGETHER. Therefore, multiple B vitamins are often involved in the same pathways. I suspect that by taking too much B6 you may have depleted other B vitamins, hence the neuropathic zaps you are feeling. Dr. Stasha Gominak (neurologist) discovered this when she was using isolated high doses of B5 to treat sleep apnea (You can find her interviews on YT). Take heart, however: the zaps resolved when the nutrients were corrected. It may be advisable to reduce your B6 dose AND take it in combination with other B’s as well as zinc and magnesium (cofactors in a LOT of B-vitamin pathways). You may then be able to titrate your dose upwards in a more balanced way without creating new deficiencies. I have been afraid of overdosing zinc as the results indicate no necessity for zinc supplementation. I have been taking 30mg a day but noticed then when I try 60mg I got some relief on my symptoms. Do you think it could be to much zinc for someone with pyroluria already under control? The doses that Dr. Walsh recommends for zinc are much much higher than what your practitioner is recommending. I think what you experience personally is more important than the lab studies. Pyroluria testing is often inaccurate. Indeed!!! I feel that those tests are not very accurate and I think with time I am learning how my body respond to the supplements. However I understand that the zinc blood test are not very accurate, what about the copper blood tests. Are they helpful to indicate low zinc levels? One interesting thing that I have seen in another blog is that alkaline fosfatase lower than 70 is an indication of lower zinc. I dont know if it is true but, coincidentally , everyone from my family with pyroluria symptoms have low levels of fosfatase , just like me. Do you think alkaline fosfatase is a good marker for zinc? I did not know that information about alkaline phosphatase or if it is a marker for zinc. Copper levels do not indicate low zinc levels, however, often when a person has elevated copper, their zinc levels are low. I think that if you are supplementing with high doses of anything it should be a food-state or wholefood supplement which is made from food and recognized and utilized by the body in the same way food is. This will help to avoid any toxicity issues and decrease bad reactions. Food-state supplements are the best and most natural for us, as opposed to isolated vitamins which do not occur in nature. I am awaiting the results of a test but I’m pretty sure I have pyroluria as I have most of the symptoms. I will definitely be using food-state B6 and zinc. Yes, everybody read this book it will save your life and most importantly turn you on to wholefood supplements and against pharmercuiticals, which can hurt you . It is called “why do i need wholefood supplements”. It asks, do your viatamins help or hurt you? It is a must read. pyroluria should not be treated as some disease, it can be treated even more successfully with wholefood supplements. see a Holistic Physician specializing in Nutritional Response Testing. This is the true path to not only treating pyroluria and healing everything else. Trust me, don’t get stuck on pharmecuitical supplements, anything not whole food. example- whole food ingrediant for zinc is bovine liver which is beef, zinc picolinate is not whole food. p5p can be very dangerous, it is important to get a professional brand sold by a holistic physician. whole foods is all our bodies need to heal, don’t worry about absorbtion your body will do just fine. From my experience with treating symptoms, I have found that using zinc monomethionine is much tolerable to my body. Every time I take high doses of other kinds like picolinate or gluconate, I get weird reactions to the zinc. Monomethionine seems to be much gentler on me. I’m not for sure why but it think could be as a result of a change in methylation status. My overall sense of well being increases, but social anxiety is still there a bit (although some improvement). I ditched my b6 supplements since the zinc I take has a bit of b6 in it already. I don’t do well with high doses of b6, esp. p5p. I may have to find a sweet spot for the b6 that’s slightly higher than what I already take. Regardless, I have found b6 to be very beneficial in the past, esp when first starting my healing process. It definitely brought me out of my depression and it comes back every time I stop supplementation. Thanks for writing. It is interesting the differences that you noticed with different types of zinc. B6 is an absolutely crucial nutrient for many types of psychiatric symptoms. What if toyr b6 is iff the chart and high?? Hi, I’m sure my son has pyroluria. He has all symptoms and the test came back positive from the Direct Health Care Access laboratory. He is high in KRYPTOPYRROLE (URINE) 25.81 but he has a normal Zinc, Plasma 115 ug/dL so I wonder if I should supplement with zinc? It is tricky. It would be important to know his copper level, because that can be effected by supplementing with zinc. I would recommend finding a practitioner who is trained by Dr. Walsh. Go to the Walsh Research Institute website to the practitioners page and see if you can find someone in your area to consult. I think this can be related to anorexia as well. It made a huge difference in recovery for an otherwise difficult to treat disorder. How fascinating. Thank you for writing and sharing that. I was not aware of the connection to anorexia. Unfortunately, the interview doesn’t seem to be available anymore? Know where I can find it? No, I am so sorry. It seems to have disappeared. I don’t know why. Thanks for letting me know. I was diagnosed with Pyroluria 3 years ago. After being prescribed an undermethylated processed at a compound pharmacy, my symptoms mostly dissipated after 30 days! I suggest Flaxseed Oil if fish oils aren’t tolerated. I also take each morning Niacin – and in evenings Tryptophan & SAME 400, helps overall. May I ask why you are taking the NIacin as it tends to be used more so for OVERmethylation not under. Dr. Walsh spoke at the Plymouth Public library 10 or 15 years ago and I found his research fascinating. He was speaking at an autism conference in Boston that week. He continues to learn and integrate new information as he gets it into his trainings. I asked another researcher about him and she said that his works were not really being followed by the other researchers studying autism. She was a pediatric neurologist and I also have respect for her work. She was looking at the role of glial cells in detoxing the body. I think when the researchers come together we will all benefit with having a fuller understanding. These on line blogs are wonderful. In terms of feeling sick with zinc, it is commonly reported on the Pyroles facebook group and my son experienced the same thing. Copper dumping has come up as a reason. The compounding vitamins that we got from direct labs has selenium in it. I think this is to help with this. Yes, that is my understanding as well. The mobilization of excess copper leaving the body can cause a sick feeling or anxiety in some people. It can be necessary to increase zinc slowly and wait for the body to adjust before pushing the dose higher. It does seem, however, that getting the dose of zinc higher is ultimately correlated for some with really feeling much better. The saddest fact of all is that the leaders of the American Psychiatric Association (APA) were presented with the research on pyroluria back in 1962. They chose to claim it was invalid and then continued to work closely with drug companies to treat all psychiatric patients with nothing more than palliative care (patented, synthetic drugs and talk therapy). We have seen how well that’s worked: All of the mass murderers (Aurora, Colorado and Sandy Hook Elementary School and the others) have been treated with drugs and talk therapy. Not one of them was treated orthomolecularly. The United States is so backwards in mental health care. If there weren’t so many billions of dollars to be made from mental illnesses, I’m sure the APA would have adopted the orthomolecular approach in 1962 or even earlier instead of just palliating symptoms. I was thinking that. Could there be some underlying pathophys that’s not allowing my body to tolerate zinc? I’m both glad and mad as heck to have found all this info out. I just brought my daughter to Mensah Medical and they suspect she has it also, along with my other 2 little girls. I want to be proactive with them. I just hope they don’t react to zinc the way I do. I wanted to jump out of my skin. Not sure what I would do for them if they had the reaction. Thankfully I had my prn med. found out i have pyroluria at age 56, i am mourning the life i could have had, i never had any bad behavior symptoms, i was painfully shy people thought i was a deaf mute. I know what you mean. There is so much time spent not feeling well and trying to figure out what is wrong and not getting the answers. I am in my late 50s and only now feel really consistently well. It is sad. Cheryl, I sympathize with you on this . Im not sure about you but I had this nagging feeling for so many years that their was something else to find out. It’s like it was under our noses all this time. I would recommend getting a very low dose of zinc, maybe starting with 5 mg and working your way up. It seems like many people have quite a few side effects when starting zinc and need to increase really really slowly. If it does not come in 5 mg dosages, perhaps speak to a compounding pharmacy. Trudy Scott recommends OptiZinc which comes in 30 mgs. It is a specialized formulatio. That worked very well for me and I seem to be sensitive to everything!! Hope this helps! I hope and pray that this will be more widely accepted and ALL will be tested as part of regular healthcare in all forms of healthcare. I have HPU or pyrolluria myself. I started the GAPS diet 6 years ago. As you know this diet involves a lot of detoxification. I find that every time a round of detoxification starts, I slide back into pyrolluria. This is because the liver uses a lot of B6 for the detoxification process. When detoxification is over, I can gradually stop using p5p. This is fascinating and important information. 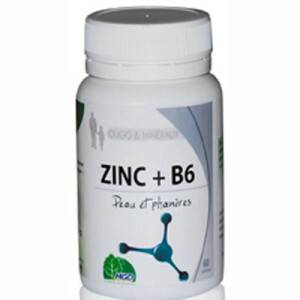 During times of stress, psychological, infection, even growth, needs for B6 and zinc increase. In the Netherlands this problem is known as HPU. It is considered ‘alternative’ here too and not trusted by mainstream medicin. Here it is treated with p5p and not with B6 because many patients cannot make the conversion of B6 into the actieve form p5p. I love hearing about what goes on in other countries. Thank you so much for writing! Dr. Walsh taught us that some patients are better able to utilize B6 and others P-5-P, so that both types of patients are covered when you use both. That is the rationale. You made my day, Barbara. It really nice to hear that the website is helpful and that you love my approach. Many many thanks. I have problems taking fish oil. Not sure if I have pyloria or what, I know I am detoxing from Mercury since having almgams removed. I also have 2 Mao-a genetic defects (homozygous). Yes, fish oil is not for everyone. Its important to sort out what works for you specifically. Great article on a topic that is near and dear to my heart! Loved my Sean Croxton interview and seeing him equally excited about it! BTW I no longer do the urine test as there are too many false negatives. Thank you for writing and for sharing more of your knowledge about the treatment of pyroluria. You have a wealth of expertise! There is a lab in Chicago, Direct Health, that give a raw value for pyrroles but also a corrected value that takes into account the specific gravity of the urine. Do you believe that the corrected test also gives false negatives? Does that mean that you diagnose on the basis of clinical presentation? I have actually been surprised at times that certain patients who clearly have major immune dysfunction do not have elevated pyrroles, as they clearly are suffering from chronic illness. Maybe those individuals have false negatives? I would love to collaborate with you in the future. Thanks for the work that you do! I’m so sorry – somehow this got missed when I wanted to come back and connect! Yes all the labs can have false negatives and admit to this fact. So did Dr Walsh admit he sees this too (on our Anxiety Summit interview). As a nutritionist I don’t diagnose but if someone has tested negative and clearly has signs of low zinc and low B6 and scores high on the questionnaire I have them do the protocol anyway. We watch for their response to the supplements. So to answer your question, I’d suspect those individuals are false negatives! I have just had a negative result which I am devastated about as I have so many of the symptoms of pyroluria I was convinced it would be positive. I just can’t accept the negative result. You say you no longer use the urine test as there are too many false negatives – is there another way to test for this disorder? I am taking supplements in any case to see if there is any improvement in symptoms. I also have had a negative test when symptom wise, I might be considered a poster child… Would love some information on other test protocols. A negative test result may actually be a positive test result because the lab and the doctor are using the wrong reference range. My urine test came back with pyrroles at 13. I was told this was normal and I didn’t have pyroluria. After reading several articles online about the reference ranges… 10 to 20 is mild pyroluria and should be treated. Also, my urine sample was not handled properly so my actual pyrrole level is probably higher. The sample is supposed given in the morning and needs to be shielded from any light and immediately put on ice. Mine was not. Also, were you taking zinc and/or B6 when you were tested? I have read that they can lower the pyrrole results giving a false negative test result. If someone has tested negative and clearly has signs of low zinc and low B6 and scores high on the questionnaire I have them do the protocol anyway. We watch for their response to the supplements. I also use the zinc challenge, alk phos <70 and dream recall. There is an entire chapter on pyroluria in my book "The Antianxiety Food Solution." I really appreciate this website. I am so glad I get these email updates. You’ve talked about Dr. Walsh in past articles, but after reading these comments, I really want to research him. We do have to be careful what we read on the internet. Remember, Wikipedia is written by laypersons, the public, and not necessarily experts, so it always has to be backed up by our own research, whether it supports what we believe or not. This article reminded me of another thing that really helps with mood disorders and all sorts of things; FISH OIL. I really feel a difference when I remember to take it. I take a Costco brand capsule every night and every morning. I believe it helps the body’s processes function, and I feel my irritability come back when I stop taking it. Such a simple thing. Fish oil is pretty strong stuff though; if you have a bleeding disorder, you have to be careful because.My sister can’t take it because she has cascading blood disease (she bruises hugely and easily.) Fish oil used to start my periods when I was in perimenopause and had a problem with excess bleeding. Not that I am past that, I can take it again. Whew. I also have to take my small amount of progesterone (natural kind) or the nights sweats and night anxiety come back too. I take 100 mg nightly for 21 days then stop until the end of the month and then start it again. Sometimes I wish there was a magic bullet. I mean what if taking fish oil set all the other processes in order so that, for example, the body didn’t make excess pyrroles, etc., etc. Thank you for writing. I learned from Dr. Natasha Campbell McBride who created the GAPS healing protocol to recommend fish oil to everyone. Dr. Walsh does not recommend it for everyone. I need to figure out for whom he thinks it is not a good idea. I think it was those with pyrrole disorder. They do better with Evening Primrose Oil. It is so much a case that one size does not fit all, and we are all well advised to closely monitor our own responses to whatever new treatment we try. The body is so complex and unique, that each person really needs to tailor their approach to their own unique being. Excellent summary – well done! Thanks also for sharing the Sean Croxton/Trudy Scott interview – it’s helpful and brings what we see in our offices down to an excellent level for street applications. I join with you in encouraging others to access your list of Walsh providers and use Direct Health labs to look at that entire Walsh Protocol. It’s surprising how many bubble up in my practice who would otherwise suffer without identification of his several often connected bio-brain maladies. Copper, pyrrole and methylation imbalances so often contribute to treatment failure. I hope to meet again at his next training in October! I was happy to be able to offer my readers Trudy Scott’s protocol, as Dr. Walsh is concerned about publishing dosage recommendations for protocols, and I wanted to respect his wishes, while at the same time, believing that these days, many find information on the internet and I think it is reasonable for them to proceed at their own risk. He has such wonderful information, that I wish that I could share it more freely. This is why I like to share my protocols – on my blog and in my book and when I present or am interviewed. I’d rather anxious individuals are informed and I know many can’t afford to see an integrative practitioner or don’t have access to one where they live. Now, I know that Wikipedia isn’t the be-all / end-all of sources, but it’s hard to reconcile your article and theirs. Do you have some sources one could follow up with? Hi Jim. Thanks for writing. You really set me on a journey this AM. I have so much respect for Dr. Walsh, who is a biochemist and who has literally done lab studies on 1000s of of patients with psychiatric disorders since the 1960’s, that it did not occur to me that his teachings/findings would be questioned. In my estimation, he is a man of incredible integrity, which is evident by simply meeting him. I guess that was naive of me to not consider that someone who has a revolutionary perspective would not be deemed a crackpot. I am clinician and not a researcher. But when I started to dig around, I found posts by people who said that pyroluria was bogus. I don’t think that they are right. Here are some of the references that I came up with. You can look at the end of the articles at the bibliography for additional resources. I have other experiences with Wikipedia where I really disagreed with their perspective. There is a technique that is essentially acupressure called tapping, the Emotional Freedom Technique. People have great results with it to manage stress and difficult emotion. Wikepedia completely dismisses it. There is so much in this universe that is mysterious, and that we don’t understand. My rule of thumb is that the proof of the pudding is in the eating. Even if it makes no rational/logical sense to me, if I see that it works, that is what counts with me. I hope that you find the references that I cited useful. Thank you for the follow-up on this topic. After reading your post last October regarding the work of Bill Walsh, it got me interested and excited. To ‘bio-hack’ with what appears a safe protocol…..deal me in! I have read Dr Walsh’s book and listened to 2 podcasts. “The disease of a thousand deaths”…you should only have to die once. Thanks for introducing me to a new and novel avenue. I am so happy that the information is useful to you. I have heard many stories like your own. Do you know the website “Mad in America”? There are many people who feel as you do represented on that site. There is a also a book, which I have not read but would like to, called “The Anatomy of an Epidemic: Magic Bullets, Psychiatric Drugs, and the Astonishing Rise of Mental Illness in America”. Its by Robert Whitaker published in 2010 by Crown. He believes that medications are way over prescribed and should only be used on a short term basis. Anyhow, there is so much to learn and we understand so little about it all. I do think that the supplement route is much safer than conventional psychiatric medications, and often very effective. Zinc Picolinate is what I recommend.